What Makes Cancer Patients Eligible for Blood Donation? Can Cancer Patients Donate Blood? "I would like to donate my blood, but was treated for lung cancer three years ago. Can people with cancer donate their blood?" There isn't a simple 'yes' or 'no' answer to whether cancer patients can donate blood. 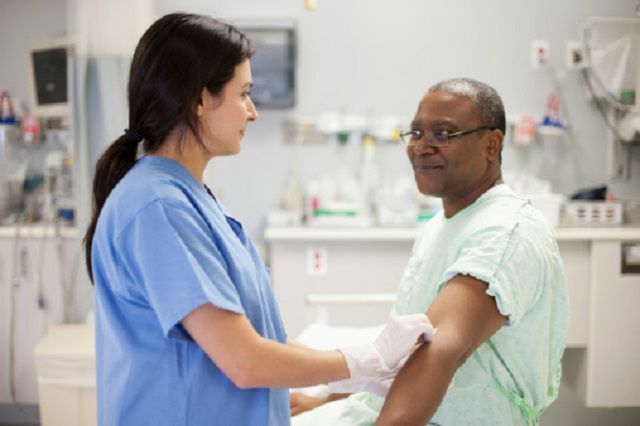 Many people who have been treated for cancer are eligible to donate blood, provided they fall within certain guidelines and eligibility guidelines do vary among organizations. The American Red Cross is the largest blood organizations in the world and their eligibility guidelines have set the standard for other blood organizations. Overall, guidelines and safety measures are regulated by the FDA. You must wait at least 12 months following the completion of treatment to donate your blood. You cannot have had a recurrence of cancer. If you are currently in treatment, then you are ineligible to donate. The American Red Cross does make note that those treated for low-risk in-situ carcinomas like basal cell carcinomas or squamous cell carcinoma (two types of skin cancers) do not need to wait 12 months after treatment. Women who have had a precancerous cervical condition can donate provided their cancer was successfully treated. If you have ever had lymphoma or leukemia, or any other blood cancer as an adult, then you cannot donate your blood to the Red Cross. Adults who had these cancers as children can donate, as long it has been 10 years since treatment and the cancer has not recurred. There are other conditions and factors that affect donor eligibility. Read the Red Cross's list of conditions that may affect your donor status. When dropping by a blood donation center, be as thorough as possible about your health history when you give blood. A person called a blood historian will record all of your information before you are accepted to give blood. You should tell the blood historian how your cancer was treated and when your last treatment was completed. If there are no issues, you will usually be allowed to donate blood the same day. If there are issues, your case may need to be reviewed by a physician at the donor center before you can donate. There is no fee to have your blood reviewed at the Red Cross. If you have any question prior to donating, you can call your local Red Cross or ask your oncologist. Do not feel discouraged if you find that you are not eligible to donate blood. You can always help people facing emergencies by volunteering your time to organize blood drives or make a financial donation to support blood donation services that ensure ongoing blood supplies and humanitarian support to families in need.